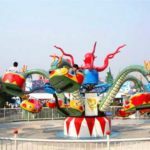 Octopus ride, or rotary octopus ride is a kind of self-control amusement ride and it is suitable for both kids and adults. 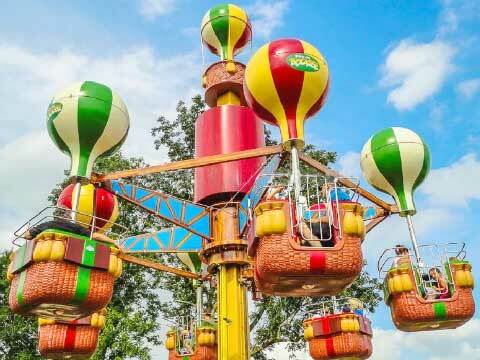 Beston octopus ride for sale is able to spin and move up and down. 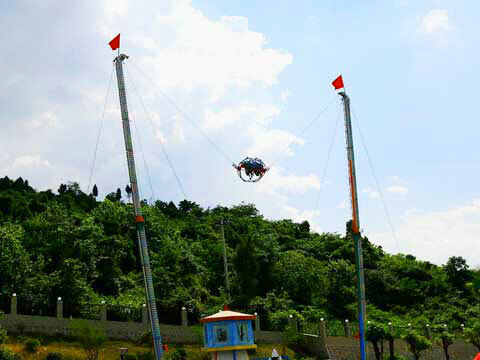 Equipped with MP3 player, passengers can enjoy the excitement of rotating, ring and falling in a nice rhythm. 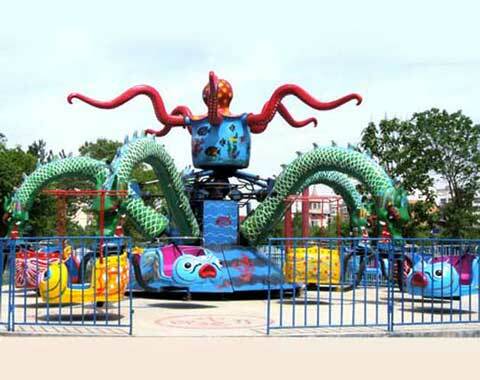 Common octopus amusement rides manufactured by Beston Group consist of 5 arms and 6 arms. Each arm has 4 or 5 cabins and each cabin accommodates 1 passenger. If interested, you can contact us at any time! 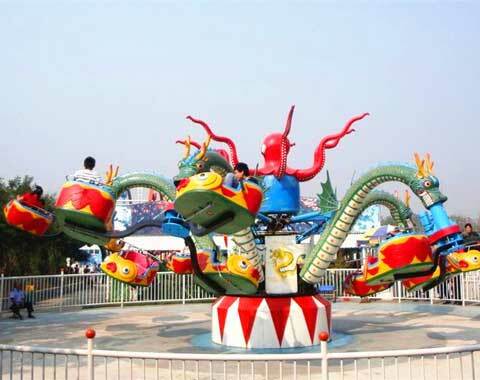 Based on the appearance of an octopus, Beston Amusement Equipment designs the rotary octopus ride. This can been easily seen by the ride’s appearance. 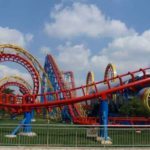 When looking at the picture of our octopus amusement rides for sale, you can find that there are several arms stretching outside from the center in each octopus ride, just like an octopus. In addition, the end of each arm is designed into a dragon with its mouth open. Under each mouth dangle several cabins. This design vividly shows the features of an octopus and also adds fun. 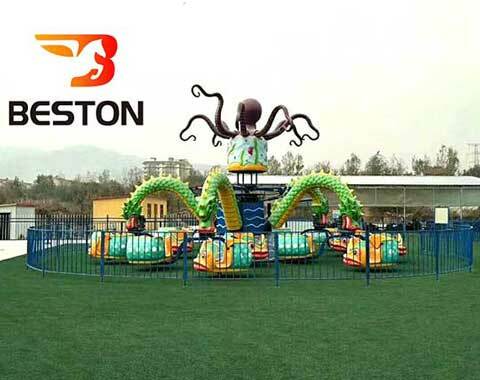 When accompanied with music and lights, the octopus ride for sale manufactured by Beston will be more entertaining, and the scary nature of an octopus will be totally lost. 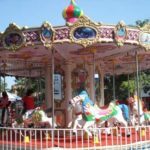 Facing to such an interesting amusement ride, children can’t resist the impulse to immediately ride it. Shape and color can be customized. With LED lights and music. 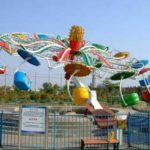 The octopus ride for sale in Beston is designed under a team of professional designers in the circle of amusement rides. When the octopus carnival ride starts to move, several arms attached to middle part of the ride will rotate surrounding the central axis, at the same time, they will ascend and descend randomly. Most of Beston octopus rides are driven by electric motors and up-and-down motion of the arms is controlled by hydraulic pressure. 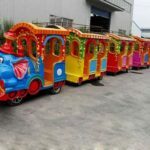 Favored by all ages of people, Beston octopus rides for sale are widely applied in large and small amusement parks, funfairs, parks, indoor and outdoor squares, shopping malls, communities, scenic spots and tourist attraction, etc. Why Choose to Buy Octopus Rides for Sale from Beston? 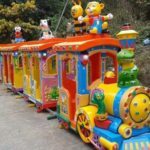 Firstly, Beston Amusement Equipment has been involved in designing and producing various amusement rides for many years, including classic amusement park rides, carnival rides, fairground rides, thrill rides and kiddie rides. 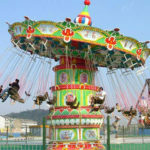 Our amusement products have occupied a large share in domestic market as well as oversea market. Many customers trust us and become our frequent customers. 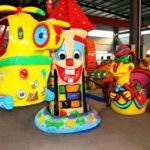 Secondly, as for the octopus amusement ride itself produced by our factory, all component parts of the ride are purchased from legitimate suppliers. This reduces the product’s failure rate and extend its service life. For example, the painting of FRP is superior lacquer that is smooth, bright and durable. In conclusion, our octopus rides for sale can ensure the quality. 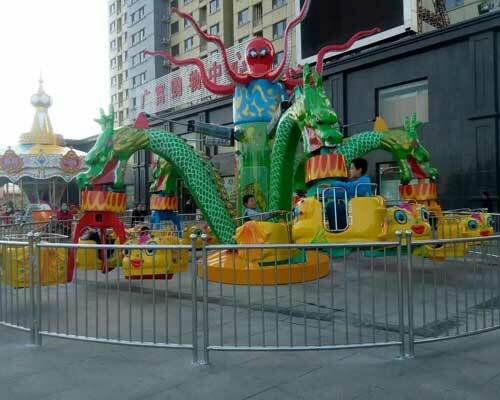 Last, octopus amusement ride for sale in Beston covers smaller area compared to other large amusement park rides and requires an ordinary voltage. And it can attract large flow of visitors because cool appearances. What’s more, our octopus ride is easy to install and dismantle under the guidance of instructions provided by us. It is also safe and stable in the process of its motion. Therefore, customers don’t need to worry the safety issue too much as long as it is properly operated. 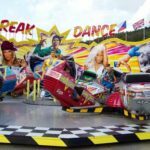 Interested in our Amusement Rides? Leave Us Your Inquiry, We Will Reply You In 12 Hours. Beston is a company that designs and manufactures all kinds of amusement rides which including kiddie rides, thrill rides, indoor rides, rides for carnival, amusement park, theme parks, coin operated rides, trackless trains, bumper cars, ferris wheel rides, pirate ship rides, miami rides, big pendulum rides disco rides, and many of our products are exported to foreign countries all over the world. 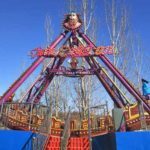 Welcome to buy the best amusement rides for your amusement business from Beston Group. © 2017 • Beston Amusement Equipment Co.,Ltd.